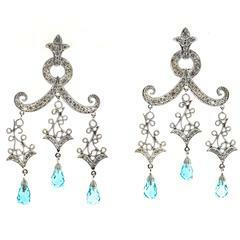 These delightful gems dance on the ear. 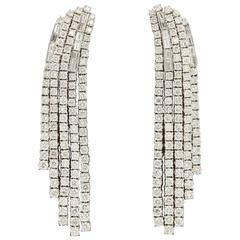 The earrings have 5.26 carats of diamonds set in 18k white gold. 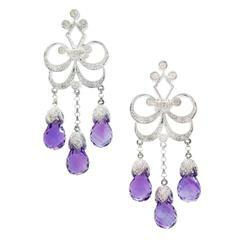 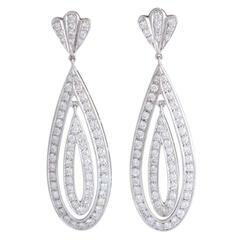 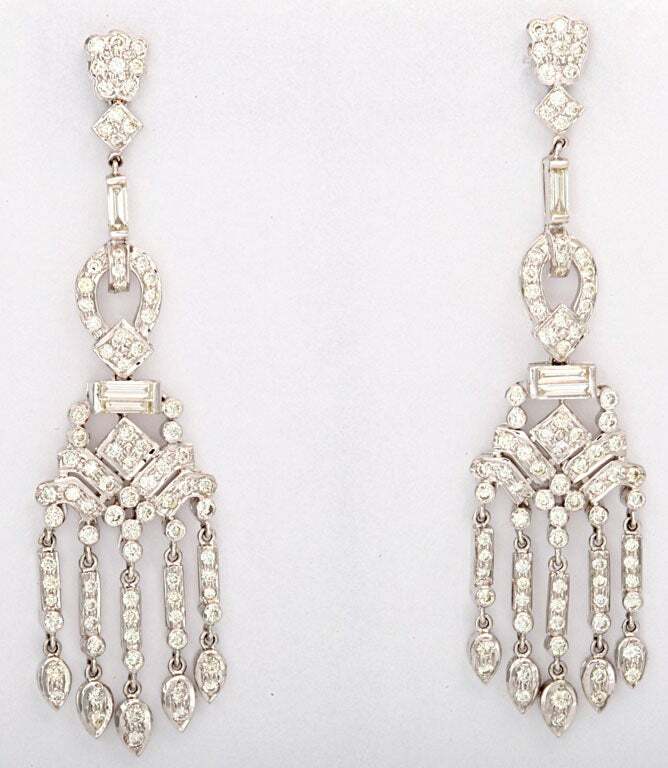 These earrings dance on the ear since both diamond tear drops dangle off the ear individually. 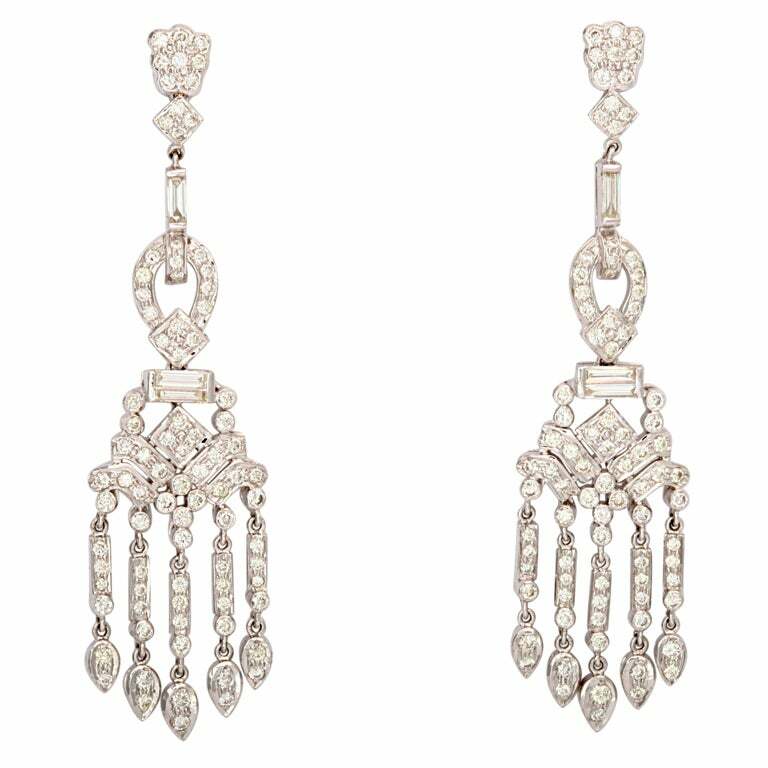 Set in 18kwg with 4 carats of diamonds, the earrings measure 2 1/4" tall by 5/8" wide. 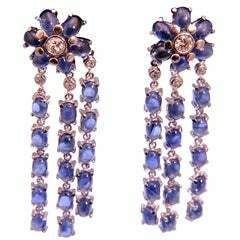 Incredible sapphire and diamond earrings that move with the wearer. 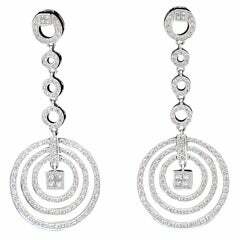 Delightful dancing diamond circle dangle earrings set in 18k white gold. 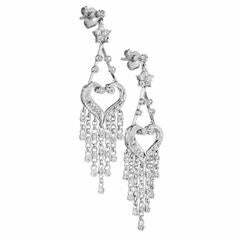 2 Carats approximate diamond weight.